With the High Speed extravaganza of F1 still occupying the mind space of young INLEADers, another Mega Event awaits participation of budding Event Managers. In keeping with the INLEAD tradition of providing Mega Event exposure to our EMPR students, we proudly announce our association with Airtel Delhi Half Marathon. 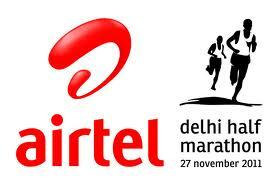 The Airtel Delhi Half Marathon is an annual half marathon foot-race held established in 2005. It is both an elite runner and mass participation event. The last edition of event attracted around 29,000 runners who competed in one of the four races: the half marathon, the 7 km Great Delhi Run, a 4.3 km run for senior citizens, and a 3.5 km wheelchair race. While the prospect of working with Celebrities from athletics and Bollywood has widened the smiles on the faces of students, they are equally excited to be a part of another international event. We wish all the very best to participating students and we are sure participation in the event will be the ideal preparation for their future assignments. With just days left the countdown has already begun.